US military action against North Korea is an "option on the table," Secretary of State Rex Tillerson has stated, adding that Washington's "strategic patience" with the isolated country has ended. "Let me be very clear. The policy of strategic patience has ended. We are exploring a new range of diplomatic, security and economic measures. 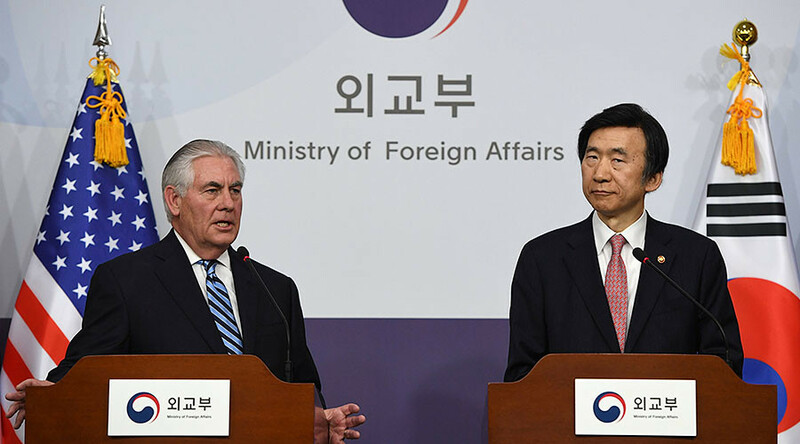 All options are on the table," Tillerson told reporters during a joint news conference with South Korean Foreign Minister Yun Byung-se on Friday. "Certainly we do not want to, for things to get to military conflict," Tillerson said. However, he went on to say that "if they (North Korea) elevate the threat of their weapons program to a level that we believe requires action, then, that option's on the table." He added that a "comprehensive set of capabilities" is being developed to deal with the country. Tillerson's comments were made after visiting the demilitarized zone that divides the two Koreas. 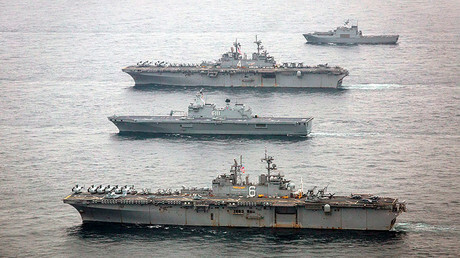 It comes just three days after the North's state news agency KCNA warned the US of "merciless" attacks if America’s nuclear-powered aircraft carrier ‘USS Carl Vinson’, which arrived in South Korea to take part in annual drills, infringed on its sovereignty during the exercises. 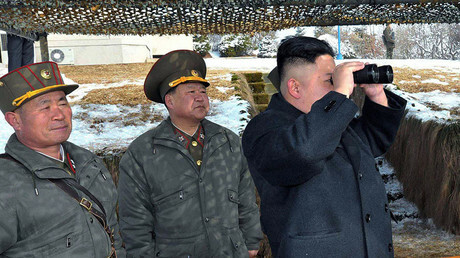 "If they infringe on the DPRK's (Democratic People's Republic of Korea's) sovereignty and dignity even a bit, its army will launch merciless ultra-precision strikes from ground, air, sea and underwater," the news outlet said. While the exercises were taking place, a second set of trilateral drills were ongoing between the US, South Korea, and Japan, aimed at improving the capability to shoot down enemy ballistic missiles. It was also announced earlier this week that the US will be permanently deploying armed Gray Eagle drones at Kunsan airbase outside Seoul, which could hit North Korean military targets and destroy its command-and-control infrastructure. The drills come amid the deployment of the Terminal High Altitude Area Defense system (THAAD) to South Korea, another joint effort between Seoul and Washington in a bid to defend against Pyongyang. THAAD is an advanced system designed to intercept short, medium and intermediate-range ballistic missiles during their terminal flight phase. Equipped with long-range radar, the system is believed to be capable of intercepting North Korea’s intermediate-range ballistic missiles. Both the US and Seoul have maintained that the THAAD deployment is purely aimed at defending against Pyongyang, a point which was reiterated by Yun on Friday. The US has deployed 28,000 troops to South Korea. However, Seoul is within range of Pyongyang's artillery, and analysts believe any conflict could risk rapid escalation and heavy casualties. North Korea has long aimed to become a nuclear power, saying it needs to be able to defend itself. It conducted two nuclear tests and 24 missile launches in 2016, and has fired five ballistic missiles – one intermediate-range and four improved versions of Scud missiles – into the East Sea (Sea of Japan) this year. Four of those were fired last week in response to the annual military drills between the South and the US.